The FL variation of the FIRG series is the Stucchi solution for high corrosion applications. The resistance to corrosion and excellent fatigue life make this product ideal for applications in the chemical, pharmaceutical, food and offshore industries. The interchangeability of FL series couplings is in accordance with ISO 16028. 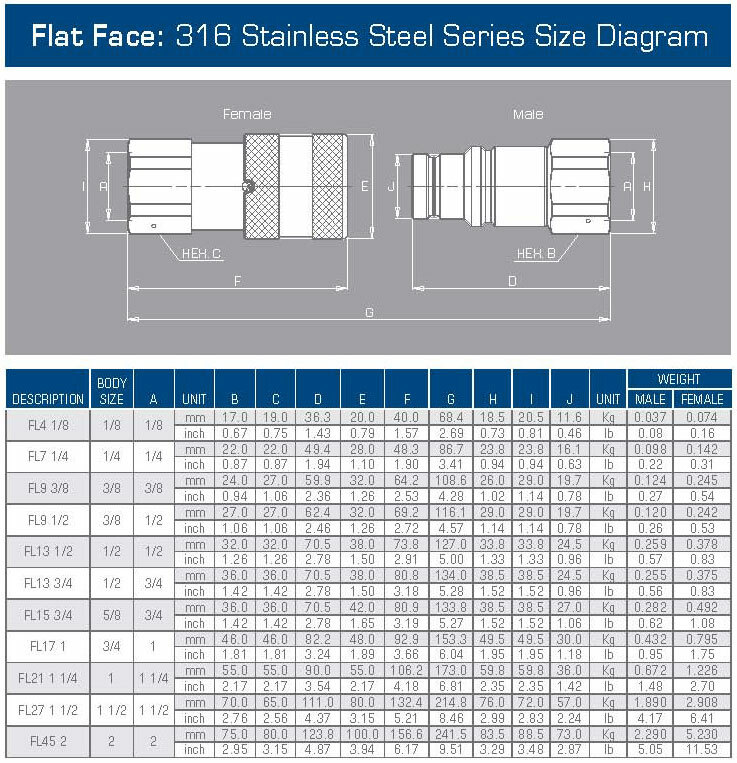 The FL couplings are manufactured in stainless steel AISI 316; standard seals are Viton/Flourocarbon with the option of other seal materials upon request for use with various fluids and operating temperatures. 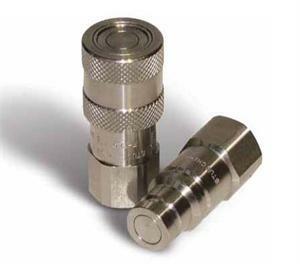 The features of flat face couplings in stainless steel to eliminate leakage during connection/disconnection reduce contamination in the circuit, and offer optimal resistance to corrosion, making the FL series ideal for applications such as: offshore, marine, industrial equipment, chemical, pharmaceutical and food processing.